You bring the wrist. We’ve got the watches. 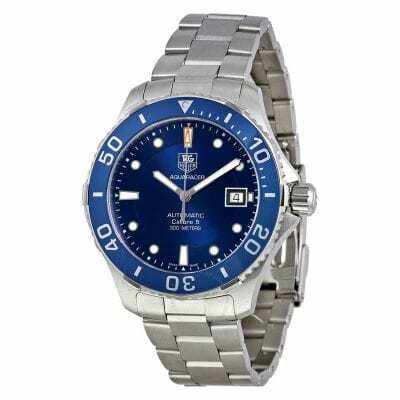 When visiting most jewelry stores or shopping online, purchasing an authentic Rolex watch can be intimidating. At Dallas Gold & Silver Exchange, we’ve been perfecting the art of luxury watch shopping since 1965. With our extensive collection of gently used Rolex watches and designer pre-owned watches for him and her, buying and selling discounted estate watches at DGSE is like clockwork. With a 1-year warranty we offer, this gives you assurance and peace of mind that you have a quality time piece. Known as the world’s largest single luxury watch brand, Rolex produces about 2,000 watches per day of all styles and models. Rolex has three main watch lines: Oyster Perpetual, Professional and Cellini. From these categories come all of the modern Rolex watch models we know and love today, including Datejust, Daytona, Day-Date, Deep-Sea Dweller, Pearlmaster, Submariner, Yacht-Master and others. These models for him and her come in either white or yellow gold, stainless steel, or a combination of metals. Whether you have your eye on something flashy like a men’s 18K gold Submariner or a classic stainless steel men’s Datejust, you are sure to find a luxury watch that suits your lifestyle and budget in DGSE’s extensive and diverse collection of men’s used Rolex watches. Searching for that perfect timepiece accessory from Rolex? Come shop our collection of pre-owned women’s Rolex watches, including the extravagant 18K white gold Pearlmaster, stainless steel women’s Datejust and much more. Made with one of the most precious commodities in the world, white and yellow gold Rolex watches are a great way to invest in luxury used timepieces. A gold watch imparts a sense of elegance, style and sophistication to the wearer that few accessories ever could. As the world’s first self-winding wristwatch chronometer to display the date window, the Datejust line is the ultimate Rolex classic. Datejust is Rolex’s most versatile and customizable model, and known for its timeless precision and reliability. Buying a Rolex can be a daunting task. Pre-owned Rolexes are the perfect way to own a luxury Swiss watch at a discounted price. Ours are gently used and will retain value for decades to come. Explore our extensive collection of pre-owned Rolex watches for men and ladies today. It’ll be our secret. You get the prestige and pride of wearing one of the world’s finest luxury watches – at a price far below what you thought was possible. Because at Dallas Gold & Silver Exchange, we can sell pre-owned Rolex, Breitling, Omega, TAG Heuer and other esteemed timepieces for much less than their original cost, while ensuring they are in perfect condition and fully guaranteed. Our selection is constantly changing, so stop in to see what’s new. And if we don’t have the exact watch you’re looking for, tell us. We’ll find it. The crown that adorns every Rolex watch signifies its place at the pinnacle of the world of timepieces. Born in England in 1905 and hand-crafted in Switzerland since 1920, Rolex combines technology, innovation, elegance and stunning beauty into a symbol of success and style for everyone fortunate to wear one. Whether an heirloom, a life milestone or a gift, the watchmakers proclaim that “Every Rolex Tells A Story.” With a great selection of pre-owned Rolexes for men and women, all guaranteed to be in perfect condition, Dallas Gold & Silver Exchange can let you begin telling your Rolex story for less than you ever imagined. Since 20-year-old Edouard Heuer opened his Swiss workshop in 1860, his company has specialized in simplifying chronographs to lower production costs, establishing a legacy of affordable quality and elegance. In 1985 it merged with the Techniques d’Avant Garde group, creating the TAG Heuer brand that has been a world leader ever since. Today’s timepieces range from classic styles to innovative fashion to the new Connected smartwatch line that incorporates Android technology. And every watch bearing the TAG Heuer name carries on a 150-year tradition of uncompromising precision, befitting its popularity and prominence in the auto racing world. Breitling watches have gone to space (on the wrist of Mercury astronaut Scott Carpenter), starred in a James Bond movie (Thunderball) and rescued two British helicopter pilots who crashed in Antarctica (the Breitling Emergency model contains a radio transmitter). The luxury timepieces date from 1884, when Leon Breitling founded the company in Saint-Imier, Switzerland. They are renowned for beautiful polished cases, excellent readability and relentless accuracy, all of which have made Breitling synonymous with the aviation industry, as well as undersea endeavors. That makes our collection of pre-owned Breitling watches a perfect match for people who love to combine luxury, style and adventure. The last letter of the Greek alphabet, Omega denotes the ultimate, a fitting name for one of the world’s great timepieces. Since 1848, Omega’s craftsmen have set the standard for durability and precision, as well as designs ranging from sporty to elegant – and often both. Omega’s reputation for accuracy has made it the official timekeeper of 21 Olympic games and earned the Olympic Cross of Merit for its contributions to sport. With a wide and varied selection of styles, Omega watches grace the wrists of world leaders, star athletes and beloved entertainers around the world, and countless others who want to convey a message of achievement and prestige.